The 5 tracks can be described as sludge/stoner metal and fans of ISIS, MASTODON and TORCHE will probably wet their pants in excitement when they listen to this EP... but I’m not fully convinced. The first 3 tracks are quite boring in my opinion mostly because they sound a bit repetitive to me. But when we reach track 4 something happens. “Magellan Clouds” is far more interesting and suddenly there’s hope for this band. 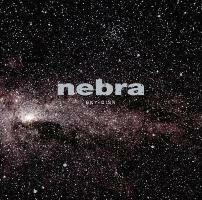 NEBRA ends this EP with the best track of the bunch... namely with the excellent “Sailing the Methane Seas”. The thrashy guitar riffs will blow you away... I promise. NEBRA is working on new tracks for a forthcoming album... and if they can come up with 9 or 10 tracks of the same quality as “Sailing the Methane Seas” they will release a hammer album.